That your NAP (name, address, phone number) are consistent across your own site, and your citations in local directories. That you have a strong and balanced local review profile. That you are creating locally targeted high-value content on your site. That you are steadily growing quality links from other local businesses or valued sites. Getting this right can be a daunting prospect. It is made harder by the fact that the directories shape your experience to funnel you into paying for better listings, each in a different and more puzzling way than the last. Tackle the task on their own, night after night, heavy on coffee and frustration. Pay the listing agents the ongoing fees they require. Hire a professional to correct and complete your citations, set up review processes and a linking strategy. Of course, we are going to recommend option three! And, we have put together some package options for you that could save you days of work and frutration and give a fast and powerful boost to your local positioning. If you receive a low percentage score, don’t panic. The first thing to notice is that each other tabs underneath your score gives you information about what is wrong, and suggestions to fix it. Begin by checking the big three: Google Business Listing, Facebook, Bing. Start with getting those right, and then move onto other problems. This can seem a daunting task, and if you choose to tackle this on your own, we suggest taking one problem a day and working to fix that. Attempting to rectify every issue manually in one sitting will leave you exhausted and frustrated beyond description. If you begin to work on your own, and decide your own time would be much better spent on the parts of the business you know and love, remember that we are here to help. Call us any time on 910-297-0321. Read on to see what we can do to add rocket fuel to your local search optimization. 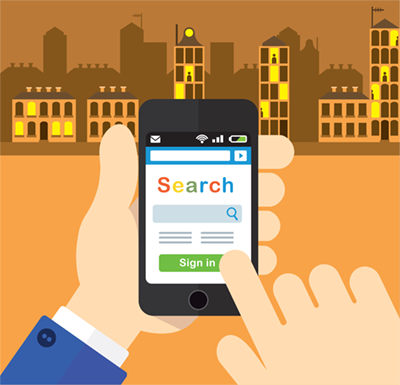 We can help you fix your Local Search Optimization fast. Our company has access to state of the art API connections to all the local listings. In addition, we know our way through every maze, and how to unlock every door. Let us take the burden. It doesn’t have to cost you an indefinite monthly fee to correct, either. For just two monthly payments of only $149, we will correct your local search optimization, and increase your health percentage. For an additional $79, we can set up and administer your local review collection processes so these are streamlined and optimized to put you in the best position when clients pick up their mobile. Why not call today to arrange a free one-hour consultation. After we listen, we will give you a list of useful advice. If we think we can help, and you decide to make us part of the team we will help you to a whole new era of online success. Call now on 910-297-0321 or email team@wilmingtonweb.com. We are here to help.